Sangiovese is a thin skinned red grape found mostly in central Italy known for its high acidity and medium tannins. This grape typically gives aromas of cherries, raspberries, and strawberries with a rustic and earthy component as well. Sangiovese’s name translates to “blood of Jove,” referring to the Roman god Jupiter. Sangiovese is said to have documentation dating back to the late 1500’s, first being cultivated by the Etruscans in Tuscany. This makes sense considering the most famous expressions are found in Chianti, Montalcino, and Montepulcino, which are all located in Tuscany. Chianti, located north of Siena, is the most well known and is typically a blend. In 1890, Bettino Ricasoli came up with what he thought at the time to be the best representation for Chianti, 70% Sangiovese, 15% Caniolo, and 15% Trebbiano. This was the standard for years but has since been changed, not allowing white grapes in the blend, and allowing for bordeaux varietals in the blend, ensuring 100% Sangiovese. The style of Chianti can vary greatly depending on the area within Chianti that it is produced and the length of the aging process that takes place. Traveling about 25 miles south of Siena, you come to the town of Montalcino. Here lies Brunello Di Montalcino, which some consider to be the best expression of the grape. In Montalcino, Sangiovese is know locally as Brunello. Brunello is always 100% Sangiovese and the aging requirements are significantly longer than Chianti. In this hotter and drier area with sandier soils, you get a thicker-skinned grape of Sangiovese. This produces a richer, more robust style with bigger tannins and darker cherry fruit components. West and slightly north of Montalcino is the town of Montepulciano. This is where Vino Nobile Di Montepulcino lives, Sangiovese here is known locally as Prugnole Gentile – an elegant style of Sangiovese with dark cherry fruit, medium tannins and higher acidity. Rosso Di Montepulciano is a more fruit driven and light style being composed of the younger vines of Prugnolo Gentile. One factor that, on top of terroir, can have a great effect on the final outcome of all of these wines is the production style. The traditionalists are more geared towards aging and being representative of the terroir, where the modernists are more geared towards drinkibility at a younger age and a typically softer mouth feel. Sangiovese can be found in many different areas in Italy, but there is no question that its best expressions come from Tuscany. Subscribe to Sommelier Q&A and receive notifications when new answers are published, directly to your inbox. An expert in all things wine and cocktails, Jared Gelband is the Wine and Beverage Director for Italian Village Restaurants, overseeing the award-winning wine cellar with over 20,000 bottles. Working as a server at Del Frisco’s Double Eagle Steakhouse, Jared quickly discovered his passion for wine and went on pursue his Level 1 Certification with the Court Of Master Sommeliers. He spent nearly two years as a Sommelier at Eno Wine Bar before joining Italian Village Restaurants in 2016. In addition to handling wine purchases for all three restaurants, creating crafting new cocktails, and teaching weekly wine classes for employees, Jared also focuses on developing specials and programs including a newly launched Coravin program, summer Rosé program, and more. At Italian Village, his philosophy revolves around variety, integrity and staying ahead of current trends across the U.S. and Italy. When he’s not drinking or working with wine, Jared enjoys snowboarding, golfing, traveling and exploring Chicago’s culinary scene – all while studying for his Level 2 Certification. An expert in all things wine and cocktails, Jared Gelband is the Wine and Beverage Director for Italian Village Restaurants, overseeing the award-winning wine cellar with over 20,000 bottles. Working as a server at Del Frisco’s Double Eagle Steakhouse, Jared quickly discovered his passion for wine and went on pursue his Level 1 Certification with the Court Of Master Sommeliers. He spent nearly two years as a Sommelier at Eno Wine Bar before joining Italian Village Restaurants in 2016. In addition to handling wine purchases for all three restaurants, creating crafting new cocktails, and teaching weekly wine classes for employees, Jared also focuses on developing specials and programs including a newly launched Coravin program, summer Rosé program, and more. At Italian Village, his philosophy revolves around variety, integrity and staying ahead of current trends across the U.S. and Italy. When he’s not drinking or working with wine, Jared enjoys snowboarding, golfing, traveling and exploring Chicago’s culinary scene – all while studying for his Level 2 Certification. What is Chateauneuf du Pape Wine? 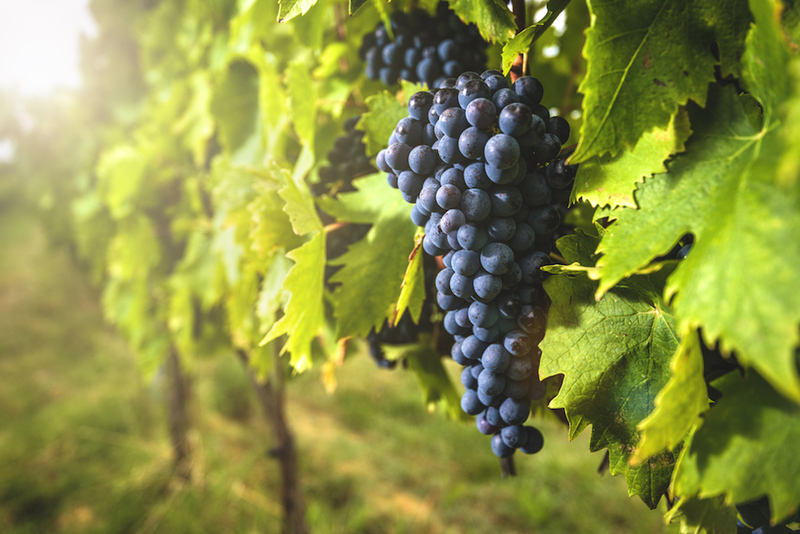 What is Nebbiolo? What are some noteworthy wine styles produced with this grape and in what regions? How many years does a quality Barolo need to age before it matures? What Barolo’s do you recommend drinking that aren’t outrageously expensive? Where in Italy is Barolo Wine Produced?